Catania is a city with many faces, offering visitors a plethora of emotions thanks to the city’s fantastic architecture and history. Recently, the city’s baroque buildings have become part of the UNESCO’s “World Heritage”. 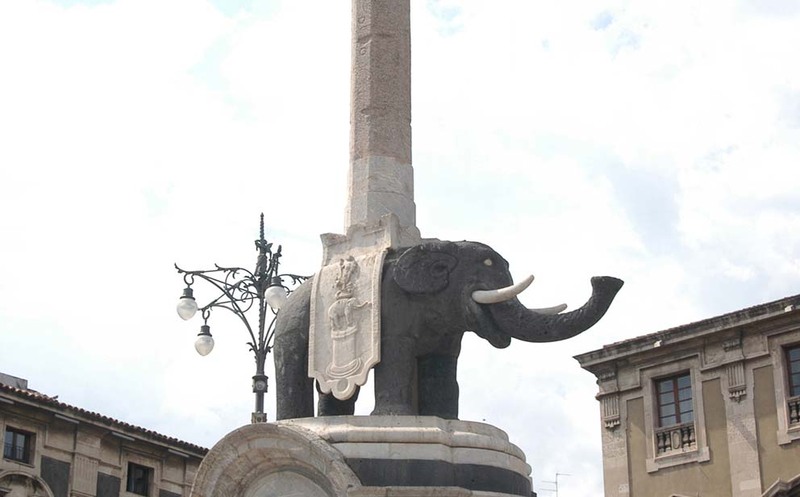 Moreover, Catania also offers a great deal in terms of art, culture, and nightlife. The city’s history goes back to the 8th Century B.C.E., when it was founded by Greek settlers. The city then became part of the Roman Empire, and later Byzantine, followed by the Arabs, Normans, Swabians, and the vast number of other dominions that ruled in Southern Italy up until the unification of the country. Some of the city’s treasures that survived the terrible earthquake of 1693 can now be found underneath or just above the level of the modern city: a Roman amphitheater and forum, Roman baths, a Byzantine chapel and a balcony from the 1400’s, all in the city center. Almost hidden between Baroque buildings, you can find the ancient theatre. The Ursino Castle, however, is pretty much completely visible – full of the glory it has held the Swabian reign. Among those monuments that rise up from the 17th century city, you will enjoy the sight of the Roman thermal baths of the Rotonda and the Norman Apses of the Saint Agatha Cathedral. Your visit to the historical center of Catania will be a head-turning walk through baroque streets, such as Via Crociferi – where five baroque churches run along a street of just a few hundred meters – and a dive down (literally speaking) into the Roman and Medieval past of this beautiful city. The baroque architecture can be truly appreciated with a walk through Duomo (Cathedral) square, and also along two streets – Via Vittorio Emanuele and Via Garibaldi. In addition to the historical neighborhoods, which were once surrounded by city walls (now only partially visible), Catania offers Via Etnea, the three-kilometer street that runs up towards the “Mountain”, telling the story of historical architecture by notes of churches and palaces built over 300 years. You will also enjoy the beautiful “viali”, a number of streets with villas and buildings from styles between the late 1800’s and the early 1900’s, such as the noteworthy Sicilian “Liberty” style. At the end of the “viali” you’ll find fashionable stores and shopping areas, and finally the seaside road, with a boardwalk running along the black lava cliffs and the blue sea, telling the story of how eruptions from Mt. Etna reached so far as to dive into these beautiful waters.